The Dot Big Bang is coming! I teach the NM modules “Copyright and New Media” and “Media and Communication Regulation” and recently attended the Annual Meeting of the International Trademark Association (www.inta.org) in Hong Kong. Amongst the things I picked up at the conference, the most exciting topic must be what is called the “Dot Big Bang” – the new gTLD (generic top-level domain) programme that effectively impacts brand owners worldwide, ever-keen to create and invest in digital domain assets that show a return on investment. The Internet domain name system has operated since 1998 as a hierarchy with 22 gTLDs such as ‘.com’,’.net’ and ‘.org’. ICANN’s (the Internet Corporation for Assigned Names and Numbers) new gTLD programme may well be the largest singular change to the Internet. This liberalisation of the root zone allows brand owners, community groups and entrepreneurs to own and operate their own suffixes like ‘.london’, ‘.paris’, ‘.nyc’ to ‘.web’, ‘.shop’ or even ‘.ninja’ and represents more than 1000 new TLDs. Opportunities and threats loom large and warrant sophisticated trademark policing strategies from brand owners who will have to monitor this increased range of domains for increased risks of brand damage, fraud and counterfeiting. To learn more about generic top-level domains, please view the Youtube clip Cybersquatting and Internet Domain Names from WIPO, the World Intellectual Property Organization. CNM Society members, staff and faculty spent the Saturday of May 17, 2014 on their feet fielding questions from streams of prospective NM students and their parents at the FASS (Faculty of Arts & Social Sciences) Open House. The department’s booth at The Shaw Foundation Building on campus was teeming with CNMers and visitors who had come to find out more about CNM’s multidisciplinary curriculum, pedagogy and culture. The most popular questions posed were, “How is CNM different from other communication schools in Singapore?”, and “What are the career paths a CNM graduate can take?”. The visitors got their answer when the CNM hosts explained the department’s broad and flexible curriculum and the myriad of professions and industry sectors our graduates are now in. They had also liked that CNM offers internship opportunities and that we rank among the world’s top 10 communication and media studies departments. Pameline, 18, who will be matriculating in the coming new semester, said that she’s been waiting for the FASS Open House to find out more about what the NUS Communications and New Media degree can offer her. “Right now, I’m really keen on the publications and design modules. I may even want to try the advertising strategies module,” said Pameline. We wish to assure Pameline that, come August, she and her fellow freshmen will be spoilt for choice! Ashik (left) and Ashok after an intense training session for their upcoming expedition. These days, it is not often that one hears of youth risking their lives for a good cause. But by attempting one of the world’s toughest treks, and during the monsoon season, in order to raise funds for the Society for the Physically Disabled, Ashik Ashokan, a Communications and New Media student in NUS and his friend Ashok Kumar, an undergraduate from the Singapore Institute of Management, are going to do just that. The 23 year-olds aspire to complete the Annapurna circuit in Nepal, which includes an arduous trek of 220km around a Himalayan mountain range and a summit point with an incredible altitude of 17, 769 feet – all without the assistance of a climbing guide. The climb is made all the more challenging by having to carry a 15kg load on their backs for 21 days and having to brave hostile weather conditions and reduced oxygen levels at high altitude. However, to Ashik and Ashok, the challenges that they face are only paralleled by the challenges of the physically disabled face, day in, day out. For their endeavour, they hope to raise S$50, 000 for the SPD. “We have built a campaign, Heart2Climb to raise awareness about the challenges our physically disabled friends face everyday, and to inspire other youth to step out of their comfort zones and give back to society,” said Ashok. Ashik added: “While many people hold a desire to make a positive difference in the world, only few have the courage to accomplish it. We believe, however, that if one puts all of one’s heart into a good cause, one will have the strength to make it through”. 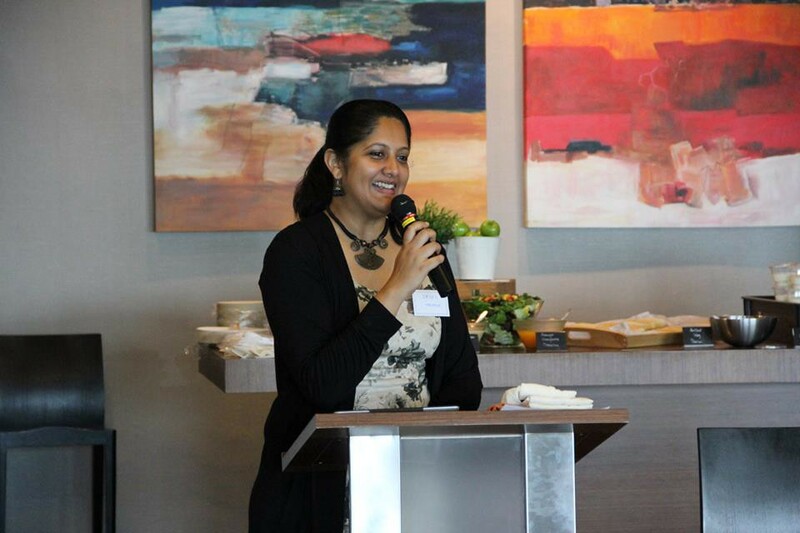 Earlier this month, I received a phone call from a passionate women, Srivi Ramasubramanian. Srivi is the Executive Director of Media Rise, an incredible organisation that began in Washington DC. OUR MISSION IS TO PROMOTE THE CREATION AND CONSUMPTION OF MEANINGFUL MEDIA TO ACCELERATE SOCIAL CHANGE. 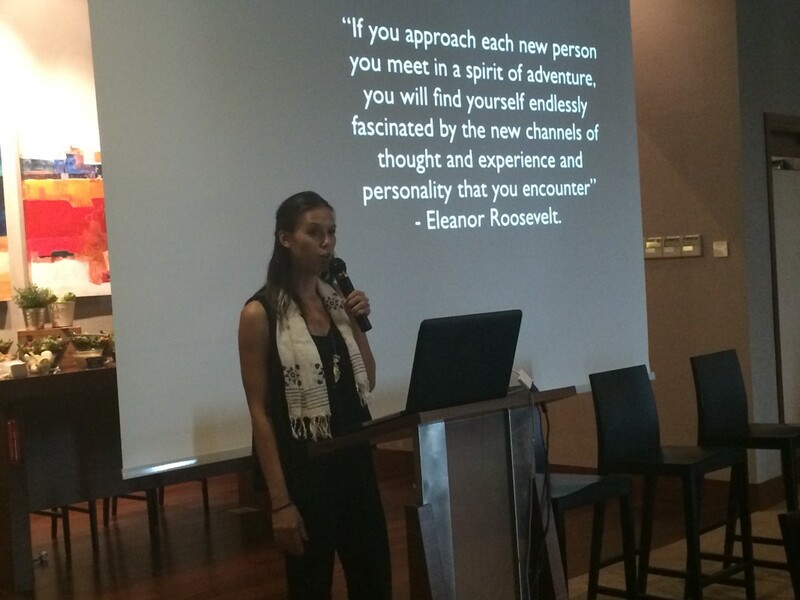 I was asked to speak at their first event in Asia, as part of their #EarlyRise movement to discuss my perspective on creating meaningful media to accelerate social change. I would be speaking alongside two other people in the space; social entrepreneur Grace Clapham and social justice documentarian Julio Etchart. 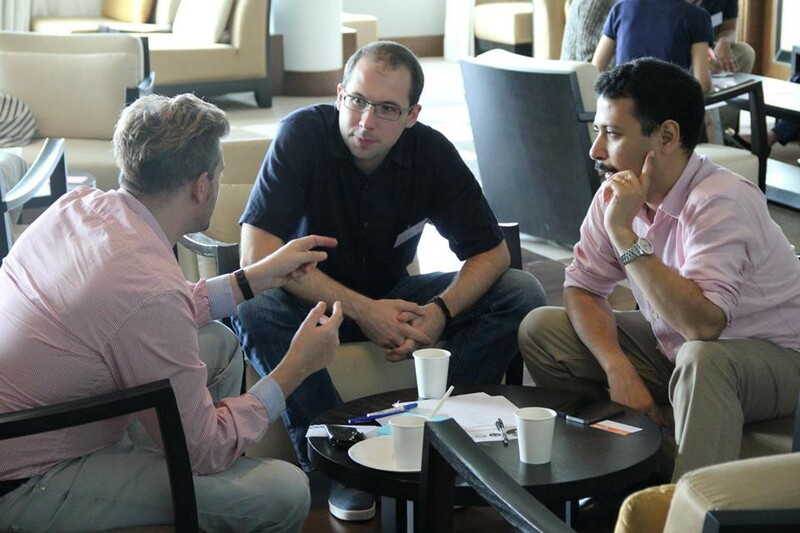 The idea of #EarlyRiseSG was to help connect people already inspired to make an impact and ignite collaboration and conversation. ENCOURAGING partnerships among media professionals and change-makers to accelerate social transformation at the individual and community level. What did I get out of the event? Singapore is an amazing place, which is full of events for creatives and social innovators. As someone that works out of Hub SG, I’m constantly surrounded by inspiring organisations that focus on purpose before profit. There are even some organisations like Our Better World that focus on media and storytelling. What made #EarlyRiseSG so special, was that it was an inclusive event which invited not just creatives, not just corporates or academics, but everyone from across all backgrounds. I spoke with corporates from within big multi-nationals such as P&G, producers from TV networks, and academics studying media / online behaviour and psychology. It was a real mixed crowd. Grace Clapham’s presentation talked through her organisation “The Change School” / “Change Ventur.es” which helps individuals realise their ideas and passions. I connected with this presentation on an individual and consumer level. Julio Etchart spoke with vast experience about his work in social justice and the environment. 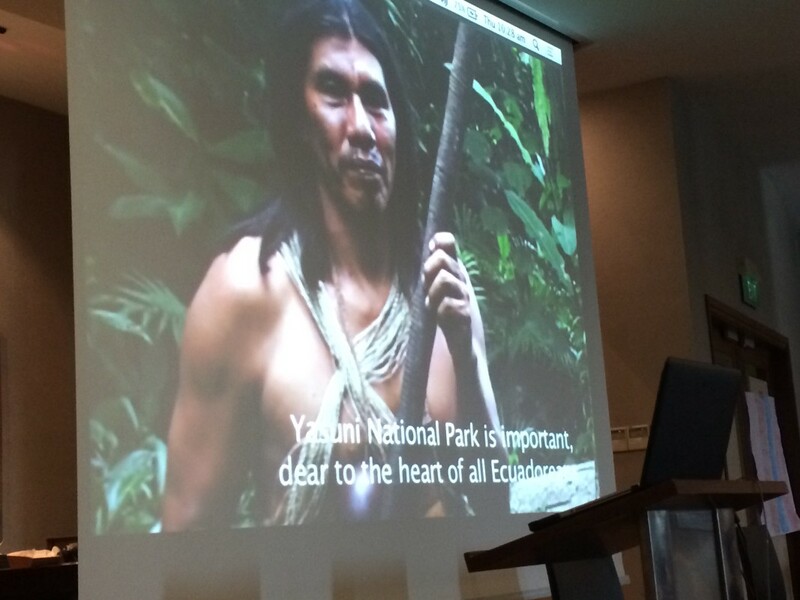 He has lived with tribes battling against the corporate powers and spoke with passion about the hope of sustainable eco-tourism in pristine wilderness. Julio has pioneered the practice of photovoice with NGOs and has facilitated workshops in participatory image-making with grassroots communities in many countries in the majority world. I connected with this presentation from a community level. So — with the consumer and community represented, I decided to shift the focus of my presentation to a key missing element — and one I feel most passionate about in recent years. The role of business for good and the potential for collaboration with multinationals and for-profit organisations. So, I presented from a corporate angle. Corporate Social Possibility. The possibility, (which has been noticed by CEO of Unilever, Paul Poleman) of corporations DOING WELL by DOING GOOD. Possibility. That is the key. Potential for communities, consumers and big multi-national companies to work together for a common goal. It’s something which cannot be achieved individually, without the authentic connection and collaborations between each party. 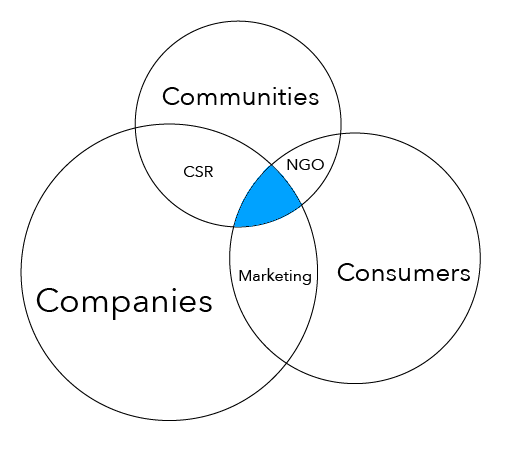 We also need to utilise and combine a number of different areas: Non-Profit, CSR and Marketing. That’s how our enterprise, Gone Adventurin, was founded. This is only the beginning. I’m super excited to be connected into the MediaRise community and to continue building a strong network of collaborators in Asia. I’ve been told there will be a follow up of the first #EarlyRiseSG event soon — and I hope to see more people across all the different areas and connect online with more people from across the world — to see how we can all contribute to make the world a better place to benefit all. In this post, CNM Honours Year student, Keefe Chin speaks to Dr. Srivi Ramasubramanian, (Ph.D., Pennsylvania State University) a visiting professor from Texas A&M University who is on a sabbatical with the CNM Department this semester. Read on to find out more about the woman who studied communication at a men’s university in India; who goes on to contributing to a global discourse on using communication for social good; and who now also has some advice for CNM undergraduates. What got you started in communication as a field of study? I grew up in Chennai in South India for the most part of my life and I had no idea about communication as a field. It was very new and I had originally done science, maths, physics, chemistry and biology. One day, a neighbour said she wanted to take an aptitude test for communication. But the course was offered only in a men’s college and she was hesitant to go there by herself, and asked that I accompanied her. As it turned out, she didn’t get in but I got in. My father said, “Instead of being one of the thousands of engineers or doctors why don’t you go into communication? You obviously have an aptitude for it, which is why they picked you.” There were only 40 people in the class and my father thought that made the course special, believing that it would allow me to combine my artistic talents with my scientific training. I agreed with him and so, in spite of objections from my teachers, I signed up! My teachers advised against enrolling for a communication course, because in India, the bright ones always go for the sciences. The social sciences are not seen as something that is scholarly and done by the brighter kids in school. However, I found that the human sciences to be such an important part of learning, I am so glad I chose to be part of it. I was not only one of the very few people to have done communication in India in the nineties, I was also one of the few women to be studying it in a men’s college. The experience shaped my research interests later on in gender and race. What are your current interests and direction? My work comes broadly under media psychology. I am interested in media representations, especially of race, gender, ethnicity and nationality and how the media shape our attitudes, beliefs, feelings and opinions about ourselves and others. So, I am very interested in things like inter-group communication, intercultural communication and the role of media. What’s the best part about being a professor? Actually many people don’t understand what professors do and I spend a lot of time trying to explain this to a lot of my non-academic friends and family because their assumption is that you are off for three months and you don’t do anything in the summer and you just have to go to the classroom and back and your life is all about grading and teaching. But teaching is such a small part of what we do, especially in research universities like NUS or at Texas A&M. The focus in research universities is on developing innovative ideas, creativity and new ways, new lenses through which we can look at existing issues. Much of our work also entails making visible the invisible. Many communication scholars, especially critical media scholars, give voice to the voiceless and help make the invisible visible. Because my work is a lot about media literacy, I’m very interested in sharing my work with the broader audience. Beyond the context of the classroom, I reach out to communities, parents, youth and even creative media professionals and engage them on raising social consciousness, on incorporating positive human values in the media and on using media for telling stories with wisdom and compassion. I have had so much advice and support from so many people over the years, that I wish to pay it forward. I enjoy mentoring very much and love working with graduate students, undergraduate researchers or research teams. For instance, one of the most heartening experiences for me is to witness the changes happening right before me in a critical media literacy project. Do you have any examples of past projects that have fulfilled these types of objectives? I started something called ‘Media RISE’ (www.mediarisenow.org) which is a global alliance for creative professionals, educators, activists, social innovators, concerned citizens and parents who are committed to using media for social good. It is a very broad collaboration, comprising media art, storytelling and design for social good. We laid the groundwork for the past year and a half or two, and raised a platform for these people to network and to think of ways to work together for the kind of mediated world we want for the future. Media RISE allows academics like me to share our scholarship with practitioners. This platform also fosters conversations when it allows people like parents to interact with people like me as an educator. I can share my research insights with them and they can share their everyday experiences with me and that becomes very helpful in both ways, I hope. Do you see any differences between the students that you usually teach back in the US and those in the class you are teaching now? Yes, there are differences. The US it is a very big country so there are differences depending on the type of university that you are talking about. Texas A&M is a very large and public university like NUS so in that way it is similar in terms of wanting to serve the public and the state. I teach global media at NUS, and I don’t know if it is because it is an honours class, I find that the writing is very good here, and the ideas well articulated. One of the things that I was hesitant about initially, was if Singaporean students would be willing to open up in class, to engage in discussions because sometimes they are a little bit reluctant to speak against what the professor is saying, or not against but to have a discussion on issues that they might not agree. So there is a little bit of a difference there but I think for honours students ,it is not that bad because once you set the stage from day one, when you make it open, they are more willing to air their views. It’s also much more formal here. In US classes, you will see students putting their feet up on the tables, drinking coke and eating hamburgers in class but you don’t see that here. Another thing which pleasantly surprised me was that the students, at least in the honours class, have studied abroad so they have a different world perspective. Since the class I am teaching is about global media, when we talked about nation and cross cultural communication, they were able to bring those experiences to the classroom, which was very valuable. I don’t usually have students like that. In Texas, there are very few who have even gone out of Texas. Could you tell us more about your sabbatical so far and how you ended up in NUS? That’s actually a very interesting story. The story begins a few years ago when A/P Lim Sun Sun, who was Deputy Head of CNM, came to Texas A&M University for a conference and there, she and I became friends. We kept in touch over the years and met up at conferences and things like that. So when it was time to apply for my sabbatical, I applied to come to NUS for six months. Even my husband, who is also an academic in Industrial Engineering, is here on a sabbatical. We had to coordinate our schedules. So in London, he was in Imperial College while I was at the London School of Economics and now while I am in NUS he is at SUTD. We have a seven year old boy so we have to coordinate his schooling as well and he has been telling everybody that he is on a sabbatical as well! Over the course of my sabbatical I have grown so much because I have to present my work to a different audience and in doing that I find that I have to reframe my research which has been a huge learning experience. When I share my work with different scholars, they give me feedback, ask me questions all of which has been very valuable. Opportunities for collaboration or even inter-institutional dialogue or programmes might even come up between Texas A&M and NUS in the long run because of my presence here. Now that I have been here, I know how things work here and I can see that there are so many ways which both institutions can benefit from each other. Overall, there have been a lot of challenges, especially when you have to coordinate a sabbatical with family, but I think it is completely worth it and if anyone were to ask me if I would do it again, I would say, yes, definitely! What have you enjoyed the most about Singapore so far? It has got to be the food! The Peranakan food that I tried was very special and unique because I had never known about this culture before so it was very different and I liked that. Being here during Chinese New Year was also a very special experience for us because it felt so festive with so many celebrations everywhere. There was dance, music and art everywhere so it was very special to be here. There are also many other things about Singapore that I don’t know where to start! Everything is so well organised and clean and ecologically conscious. There are way too many activities to do, etc. I think even if I spend many years here, I wouldn’t be able to cover everything. Also, the CNM department being so warm and welcoming has certainly been a big, big thing that I have enjoyed so far. What advice do you have for CNM students? What I would say is that communication is a right. Communication is also a privilege so when we have the voice to share stories, because I see all of us as storytellers, we have the responsibility of saying the stories with some wisdom and thought put into it. So what I mean is that if you are going into advertising, public relations or corporate communications, because these are usually the fields which most of the students will be going into, I think we have to think about what are the standards which we want to set in the industry and how can we also be the critical thinkers within these industries and ask the questions that others might not ask. I think in all of these organisations we need people to say, “Hey wait, that seems too much” or “This is unethical” or “This is not right”. I hope our students will be the ones who will have the guts and the sense to ask those questions in those difficult situations when everyone is just focused on profits. Students should consider alternative career options. You could spend some of your time, maybe half a day a week to use your talent and skills for those who might not have the kinds of resources that big media and organisations might have. 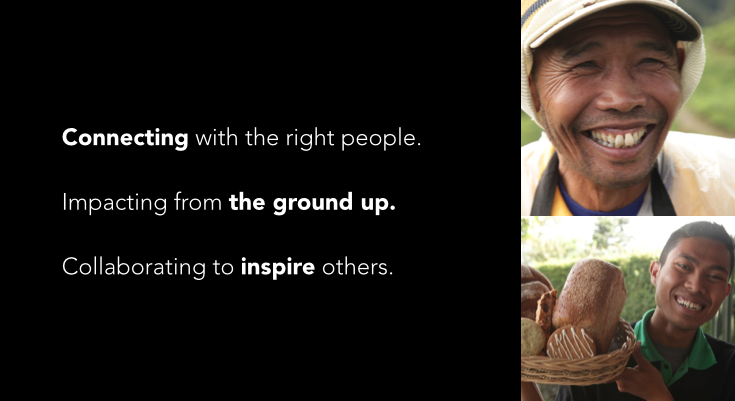 For example, you could help the marginalised groups, or non-profits, for example, to project their voices. When I think back on my own student days, I wish somebody had given me this advice.